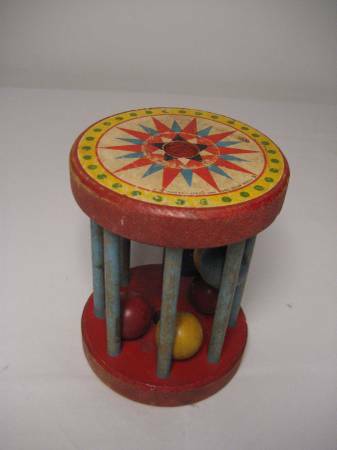 Fisher Price Elephant and Tumbling Wooden Balls Pull Toy, No 755, Circa 1940. 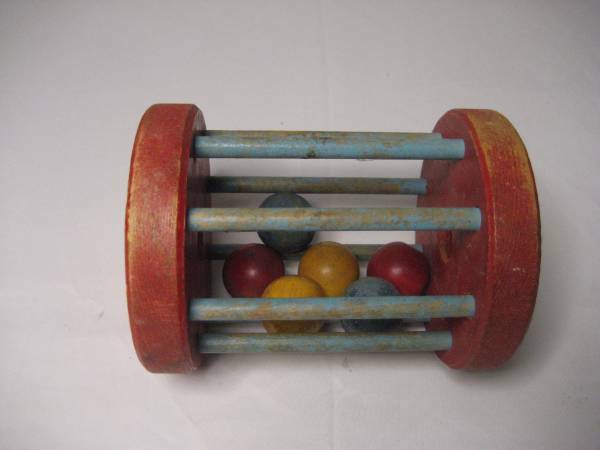 This delightful vintage wooden roller toy is from a Fisher Price pull toy, sturdy with no loose dowels, original paint, inside roller are 2 red, 2 yellow, and 2 blue wooden balls, still provides classic entertainment of rolling play. 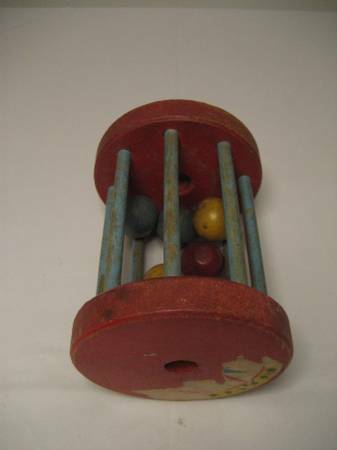 This antique toy is circa 1940s, as Fisher Price started using plastic components in their toys in 1950 because of a wood shortage. Fisher-Price information printed on side label of wheel. Smoke-free. Cash only. Do travel, willing to coordinate a connection. Thank you.